Carpet sets more than the look or tone of a room. It makes a home a little more inviting, a room a touch brighter, and offers a sense of comfort and security. 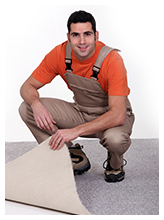 And when it comes to the cost of new carpet, or damaged carpet repaired, Phoenix Wholesale Carpet is the company you want to call.